The packaging is fairly standard and simple. Its got a lot of branding and features laid out in front and some (very limited) technical details behind. 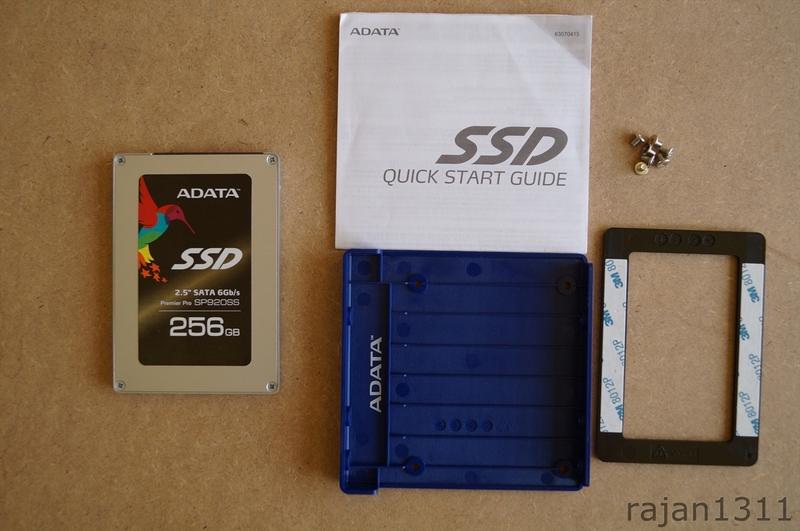 According to ADATA, the SSD can perform reads at speeds up to 560MB/s and writes at 360MB/sec, now how true that is, we will need to see. Inside, we find a bunch of useful stuff. We have a 3.5″ HDD mounting adapter, a 2.5mm spacer for using in laptops, a bag of screws and a quick start guide.